In a metal baking pan, arrange half of the tortilla chips in the center of the pan; sprinkle with half of the cheddar cheese. Add remaining chips and cheddar; spread chicken evenly over top of chips. Bake at 350°F for 2 to 3 minutes; turn pan 180 degrees and bake for an additional 2 minutes. Remove from oven and slide onto serving platter. 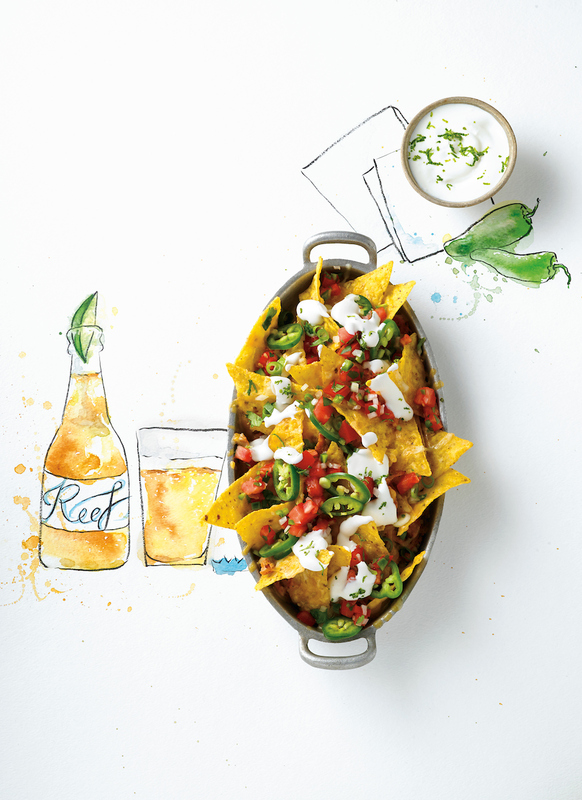 Top nachos with salsa, green onions and jalapeños. Drizzle with lime crema and serve.